And so my trip came to an end prematurely. There was no going back to the mountains, and not even really second thoughts once I had come down to La Paz. I did actually see a doctor at my hotel, just to get checked out so to speak. He said I was as fit as a fiddle, and that my blood pressure was 120/80. I am not sure that I believed him, but I certainly felt the benefits of being at just 13,000 feet or so. “Oh my God” The phrase is so overused. A bit like awesome, a word I have never much cared for. Today however I have used both, a lot. 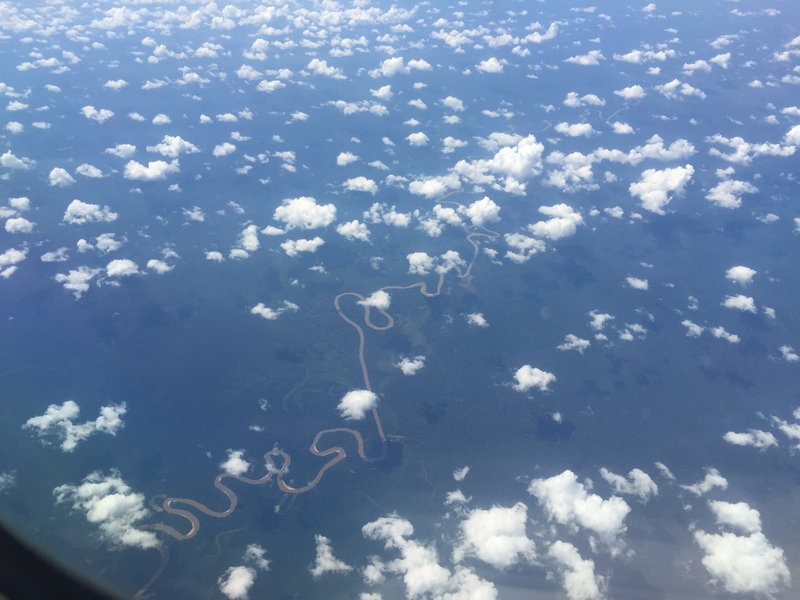 I am sitting in seat 1A of an American Airlines 757, flying over the Amazon jungle. I’ve never seen it before until today, and is absolutely staggering to the point of being overwhelming. 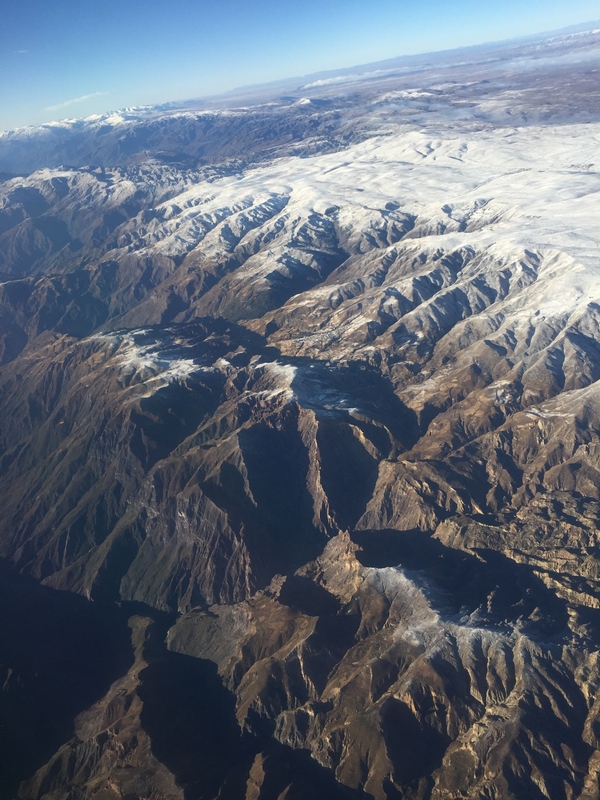 From this point in my flight, it just got more and more amazing……. This, is the Rio Grande. 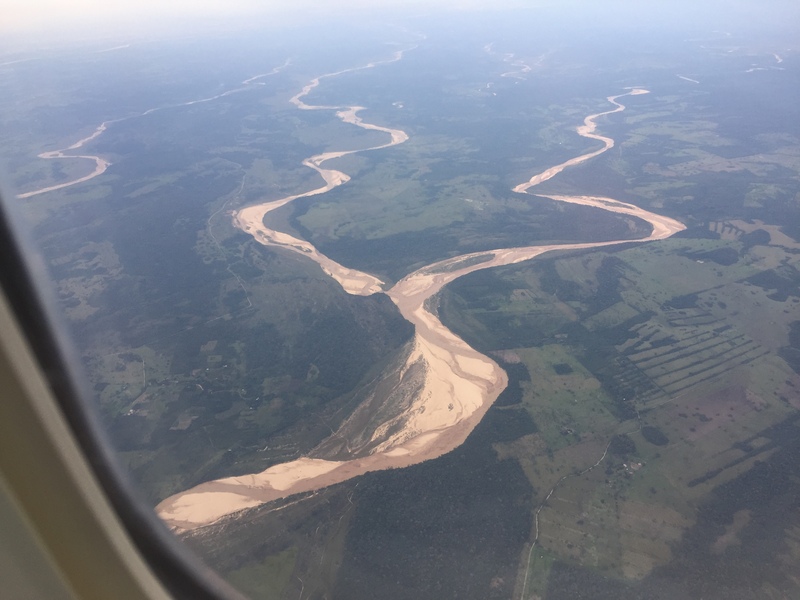 The greatest tributary, and the lead in, to the biggest river in the world, the Amazon. It discharges more water than the world’s next seven rivers added together apparently. Truly there are no words, in my language at least, to describe how utterly amazed I feel just looking down on it. 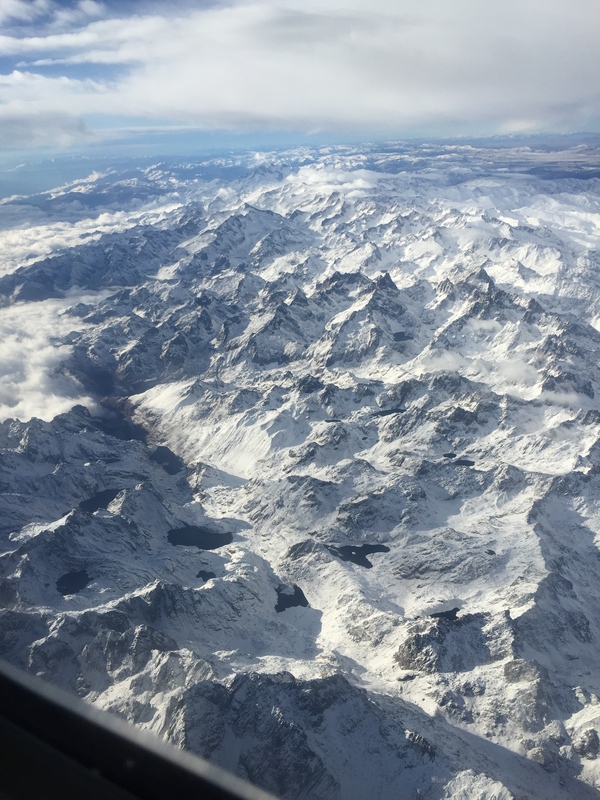 I have taken probably 50 photographs on my phone out of the window, none of which I know will ever even begin to convey the marvel, wonder and jaw dropping majesty of what I am seeing. The way the various tributaries snake backwards and forwards, the brownness of the water, the denseness of the jungle for unimaginable distances of vastness, the so abundant and different shades of green, which couldn’t even be replicated on the world’s most complicated supercomputer. So many thoughts run through my mind: Why have I never been here before? Why is it declining in terms of deforestation as badly as it is and how can governments let it happen? What do the people who live down there think? Do they know how utterly, ridiculously amazing it is? I honestly thought I had seen it all when I saw the Himalayas, or Kilimanjaro and the plains of the Serengeti, but this is better, bigger, and more fantastic, if that is even imaginable as a ‘thing’. I feel incredible. I feel so very lucky today, and just wanted to capture those thoughts. 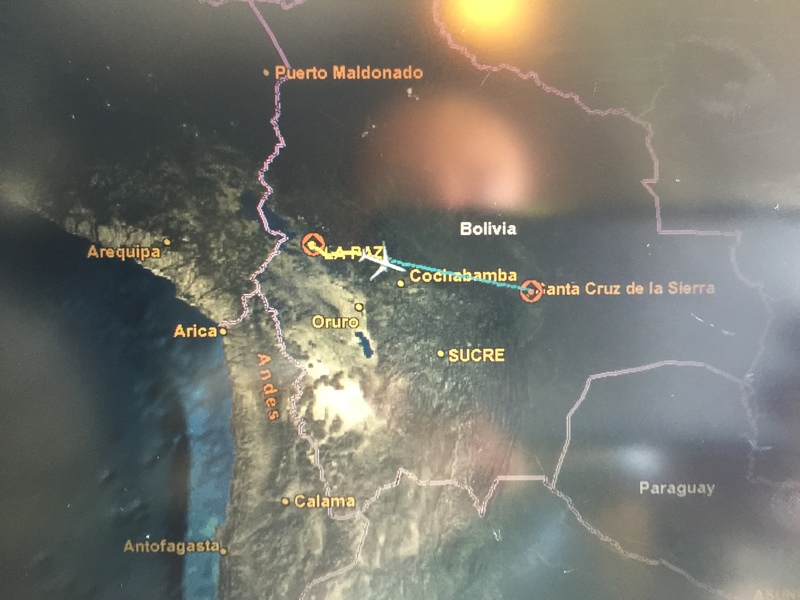 My plane out of Bolivia (firstly out of La Paz down to Santa Cruz) to Miami was delayed by an hour and a half due to ‘maintenance issues’. When I get to Miami I will miss my connecting flight out of here back to the UK, and have to probably sleep on this floor of the airport. None of that matters. I have seen under almost cloudless skies the majesty of this earth. The Bolivians have a name for this – Pachamama, the Mother Earth. Well Mother Earth, I see now, clearly, and almost for the first time, just how stupendously beautiful you really are. 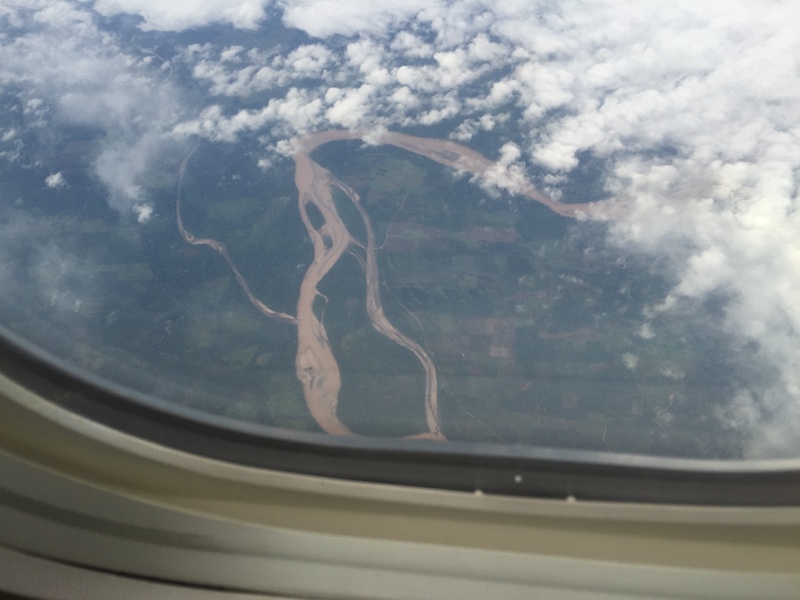 This entry was posted in Bolivia and tagged amazon, bolivia, rainforest, rio grande, santa cruz by aquavista. Bookmark the permalink. Thanks for sharing your story. I’m considering the Jagged Globe Bolivian Climber myself so your blog was very informative.